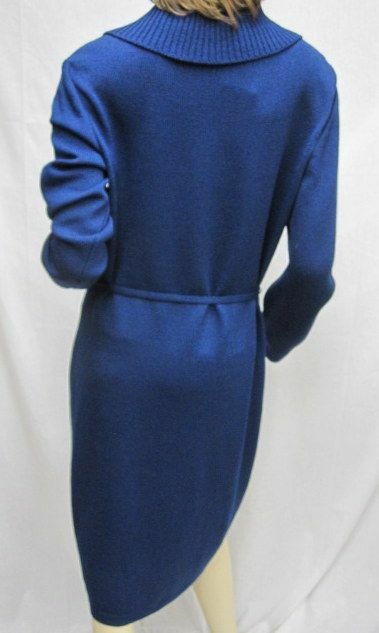 Click the button below to add the St John Knit COLLECTION New With Tags Marine Blue Dress With Belt SIZE 12 to your wish list. 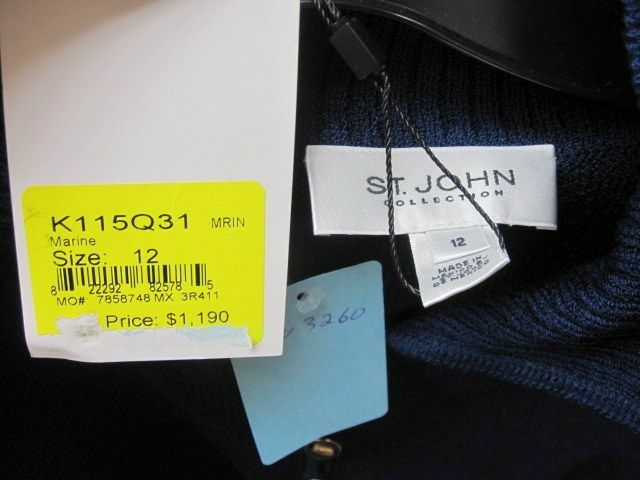 CLASSIC 4 You St John Knit COLLECTION MARINE Blue New With Tags Dress & Belt SIZE 12. 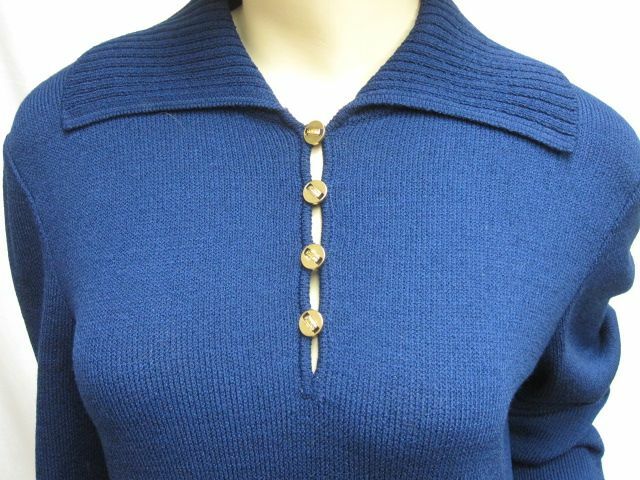 This is a beautiful santana knit dress with a ribbed color. 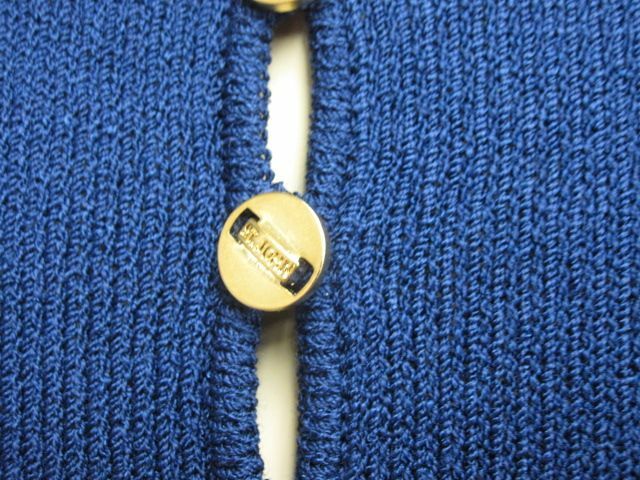 It has 4 gold logo buttons in front. Comes with a belt and gold buckle. EXTRA CLASSIC!!! Shoulders: 17" Bust: 49" Waist: 38" Hips: 43" Length: 45" Sleeve Length: 25"